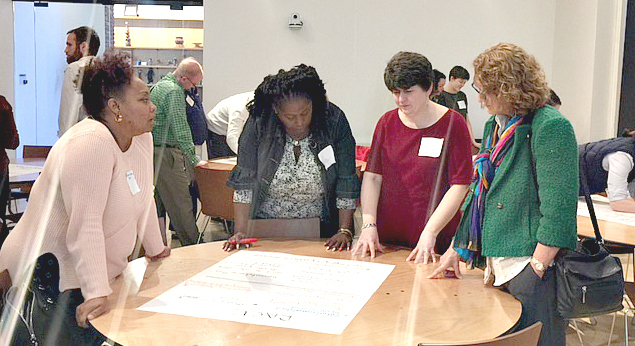 In March, The Community Foundation Serving Richmond and Central Virginia gathered alumni of its Emerging Nonprofit Leaders Program (ENLP) and current members of its 10th class at the Black History Museum and Cultural Center of Virginia. Jonathan Zur, President and CEO of Virginia Center for Inclusive Communities led the group through a robust discussion and brainstorming session on ways local organizations and leaders can take action to create a culture of inclusion in their nonprofit organizations and across the sector. 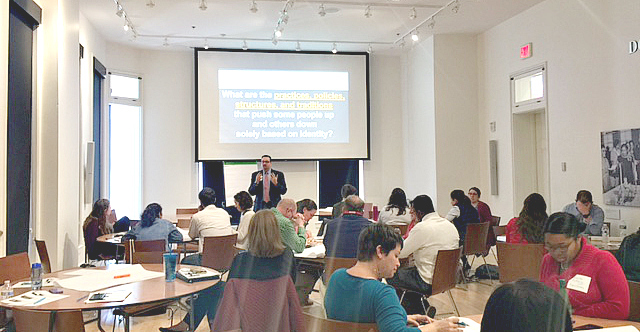 Jonathan Zur, President and CEO of Virginia Center for Inclusive Communities leads Emerging Nonprofit Leaders through a robust discussion and brainstorming session on creating a culture of inclusion in local nonprofit organizations and across the sector. 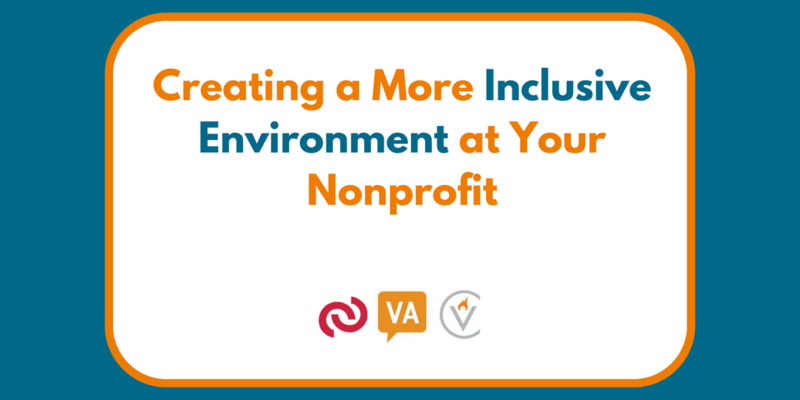 Working to achieve diversity and inclusion in the workplace should be a fundamental part of fulfilling the mission of any nonprofit. It creates an environment of involvement and connection and allows for the richness of ideas, backgrounds and perspectives to be harnessed to create value for the organization, clients and the community. It has been proven to enhance creativity, produce better and more productive communications, result in faster problem solving and enhance programs and services to constituents. To begin moving towards active inclusion in the workplace, nonprofit leaders must first examine their own lens. Having a deeper understanding of your perspectives and perceptions will help you create a framework for approaching and addressing your own bias – whether that be conscious or unconscious. The Association for Talent Development suggests that as a leader you should develop the habit of deliberately becoming aware of any unconscious bias you may have regarding a person and the feelings that bias elicits, such as discomfort, uncertainty, or impatience. As your awareness grows, your unconscious biases weaken and eventually disappear, replaced by trust, respect, value, and acceptance of that person as a benefit to your organization. Tip: You can take these Implicit Association Tests (IATs) to get a better understanding of your bias. Nonprofit leaders must ask and encourage tough questions to create deeper dialogue within their organization. Although this might seem difficult at first, it will allow you to connect and overcome challenges with others in a much more meaningful and productive way. An important factor in committing to diversity is to recognize that you aren’t familiar with the culture, values, and practices of people whose backgrounds are different than yours. You need to be willing to learn and develop a clearer understanding of how their experiences affect their work styles, behavior, communications, and relationships. Asking and encouraging tough questions will help you gain insight into the current landscape of your organization regarding how diverse and inclusive it actually is. More importantly, it will allow you to build deeper relationships, empathy and understanding with those who are different than you. Local nonprofit leaders discuss barriers our organizations create in regards to race. Stay to learn more about what they discussed and action steps to breaking down diversity and inclusion barriers locally! Nonprofit leaders must recognize that certain bias exists within the sector and this may permeate into their own organization causing barriers towards inclusion and ultimately, equity and justice. Making sure to include individuals who may be facing these barriers in the conversation, may seem obvious, but is often overlooked. Jonathan gave the group an example of how many organizations will post a job opening for a Bilingual- Spanish Staff Person and the day the position opens is the first time they are reaching out to the Spanish speaking population. Instead, Jonathan recommends, long before the position opens, or is even official, begin building relationships and having conversations with partners who will help connect you to that population ie The Hispanic Chamber of Commerce; you may even want to hold “interest interviews” to have a better understanding upfront what barriers may exist and interventions you can take to make your organization more attractive to those candidates. So, what are some of the barriers that organizations, leaders and staff create in local nonprofit organizations that prevent inclusion (in both the workplace itself and with clients and the community) and what are actions steps that they can take to intervene and overcome these barriers, leading to a more inclusive nonprofit environment? Stay tuned for our upcoming blog post to learn more!